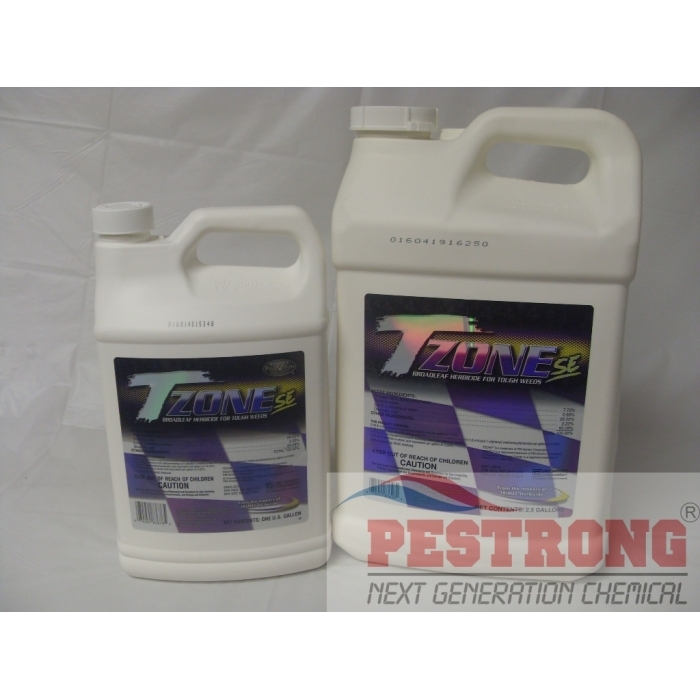 Where to Buy TZone SE Herbicide, TZone SE Broadleaf Herbicide - 1 - 2.5 Gallon - $82.95 for Sale with Fast Free Shipping! 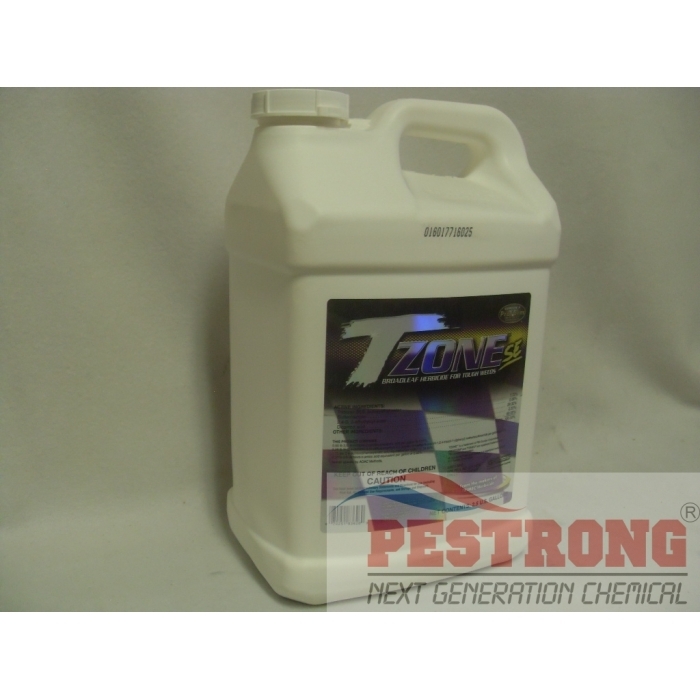 TZone SE Broadleaf Herbicide - 1 - 2.5 Gallon is fast tough weed killer provides exceptional broadleaf weed control in cool-season turfgrasses. TZone SE contains four active ingredients including triclopyr ("T"), a proven ingredient for hard-to-control weeds. When the triclopyr combined with sulfentrazone ("ZONE"), it makes T-Zone fast-acting with visible activity in hours. Weed death can occur within seven to 14 days. Sulfentrazone, a protox inhibitor, works by preventing a key enzyme required for chlorophyll production. 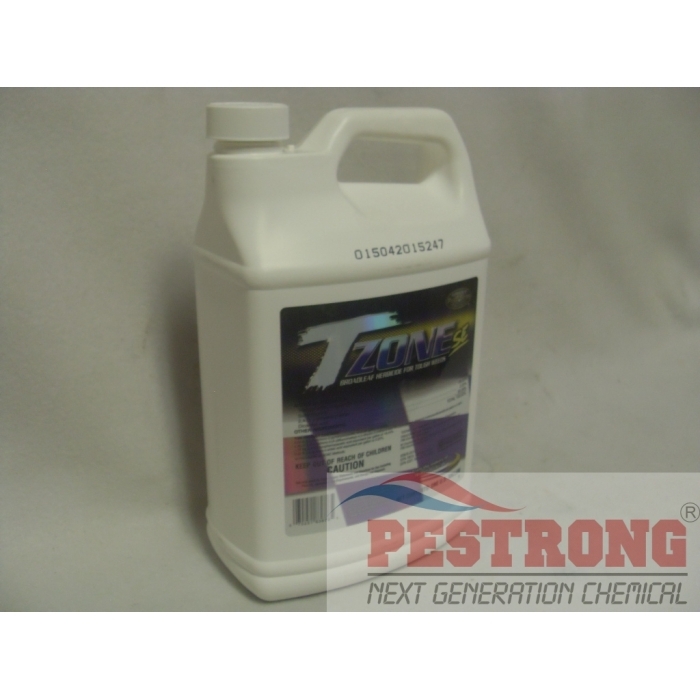 A low-odor formulation, T-Zone can be applied without raising unnecessary concerns over pesticide applications. TZone SE kills the toughest broadleaf weeds on turf, including wild violet, ground ivy, oxalis, and clover. It even provides suppression of young and actively growing yellow nutsedge. This can be use for over coolseason grass only. If you have warmseason grass, use when dormant season only. I was recommended this by a friend. I have been impressed by it so far. Ya it works. Nutsedge suppression is a bonus.